A coffee maker is fully capable of brewing tea as well as coffee. The trick is to clean the machine of all coffee taste before starting or your tea will taste awful. The other trick is to mimic the coffee-making process as closely as possible by using loose tea leaves rather than contained tea bags. This process takes the same amount of time as brewing a pot of coffee, which is usually between ten and fifteen minutes. Clean the coffee maker of all coffee residue before brewing the tea. If you do not follow this step, the tea will taste acidic like really old coffee. Add a half cup of vinegar into the maker's water-filled carafe and pour it into the coffee maker just like you would when making coffee. Brew as you normally would, but with no coffee or tea. Throw out the vinegar water and run hot water through the system to eliminate any remaining coffee and vinegar taste. Look on the back of the tea packages to see the recommended amount of water for each tea bag. 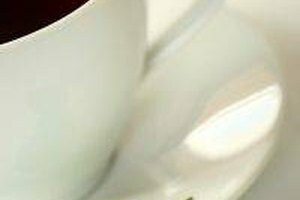 You will need to double the ratio of tea to water to make up for the fact that the water passes through the leaves so quickly in a coffee maker. Usually the recommended amount is one bag per 6 or 8 ounces. Fill the carafe with the designated amount of water and pour it into the coffee maker. Place a coffee filter inside the coffee maker's filter basket. Split open the tea bags and spread the loose tea leaves inside the filter. This will help the water catch as much of the tea flavor as possible as it passes through. Brew as you normally would. 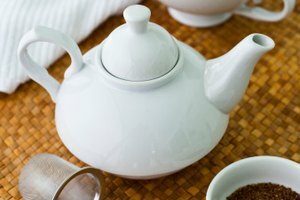 Allow the tea to sit for about five minutes after it finishes brewing to set the flavor. 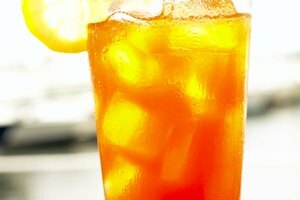 Drink the tea hot, or add ice to make iced tea. If desired, you can also place the tea bags directly inside the carafe. Run nothing through the filter basket except the hot water. After the water pulls through the system, allow the teabags to steep for about five minutes before discarding. 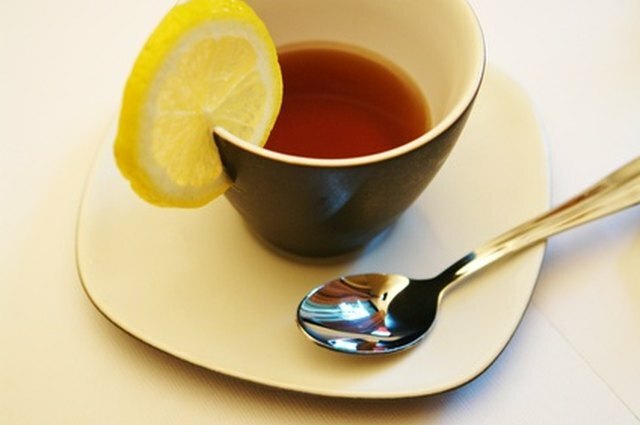 Take care not to over-brew the tea, as this can cause an acidic taste. Do not touch the coffee maker's burner to avoid burned fingers.